We had the great pleasure of photographing Jenni & Robbie's Wedding in the idyllic location of Lake Windermere. Set on 6 acres of landscaped gardens by Lake Windermere, this stately hotel dating to 1890 is 1.9 miles from Ambleside and 2.7 miles from Windermere. Its a beautiful setting for an exquisite wedding, when you want to enjoy the company of your family and friends whilst relaxing in the most peaceful location and awesome scenery. We took this image at 8pm in the evening on The Langdale's own jetty. So excited to get accepted to be the photographers for Jacqueline and Richard Wedding later on this year. They have chosen a superb venue in one of Liverpool's newest dock location. 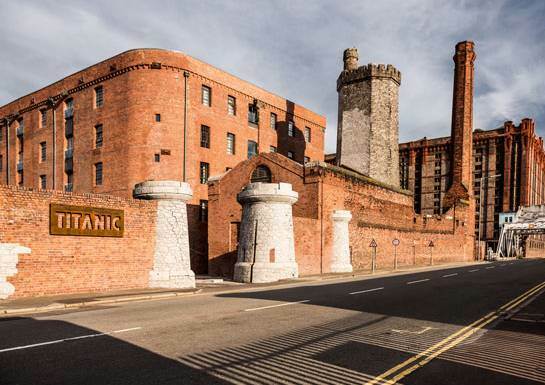 The Rum Warehouse is in a restored 1950s warehouse adjoining the Titanic Hotel seating up to 700 guests in one space! We think we are going to get those super images that every photographer dreams of capturing on a Wedding day. It's a gorgeous sunny day in March and we are at the Knockaloe Hall in Bromborough for a Wedding Fayre. We arrived nice and early to set up our display ready for opening at 11am. There's lots of other exhibitors here today from make-up artists, table decorators, florists and wedding cars. We are only here today until 3pm but that's plenty of time to get to meet some lovely wedding couples. See you soon at another Wedding Fayre near you. 2015 is moving quickly in and we have some cracking Weddings to photograph already this year. We were delighted to be asked to photograph Julie & Jim's Wedding Party at The Isla Gladstone Conservatory in Liverpool, later on this year. The Isla Gladstone Conservatory is a breathtaking venue placed at the heart of the recently restored Stanley Park. 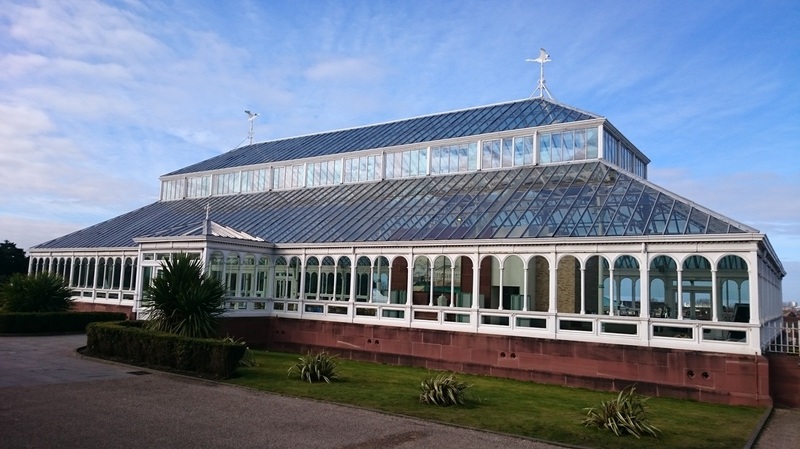 Converted with much care, the Victorian conservatory is set amidst picture-perfect rose gardens and lakes, surrounded by historic stone pavilions and adjacent to a fairy tale band stand. We think this looks jolly gorgeous. !! Win a dream £20,000 wedding in an exclusive Liverpool ECHO competition. We received a lovely Thank You card recently (with one of our photographs) from a wedding couple which we had the the pleasure of photographing in July. Thank You's like this really mean a lot to us and thoroughly reassure us that we must be doing something right. Thank you very much Joanne & Ian, we will keep this to show all our future couples. Well we have been in for a treat today taking the images for Becky and Sams Wedding at Leasowe Castle Hotel, Wirral. Unfortunately the rain has been on today but that certainly hasn't put us off. Congratulations Becky & Sam. Well we are delighted to say that we have another confirmed booking for our special Diamond Wedding package for Sam & Becky in August this year. They are getting married at the lovely Leasowe Castle, Wirral. They are going to get a full 8 hours of photography with Bride and Groom preparations right up to the first dance. We wish them all the very best wishes. Work has already commenced on editing all of the Ian & Joanne's wedding images from 11th July 2014 at Runcorn Town Hall and The Hilton Hillcrest Hotel. There are quite a few images to go through but we have all the tools to do them including large cups of coffee. We hope they are thinking of us back home while they are sunning themselves in Mexico on their honeymoon. Well we better get on with these images. See you later!